Fiji and China have enjoyed a very close and cordial relation since we established diplomatic relations in 1975. Minister for Defence and National Security, Inia Seruiratu made this comment during the celebration of the 2019 Spring Festival and Chinese Lunar New Year, at Civic Center on Friday. “Embedded on our adherence to the One China Policy, our relation has been elevated to a comprehensive strategic partnership of mutual respect and common development. 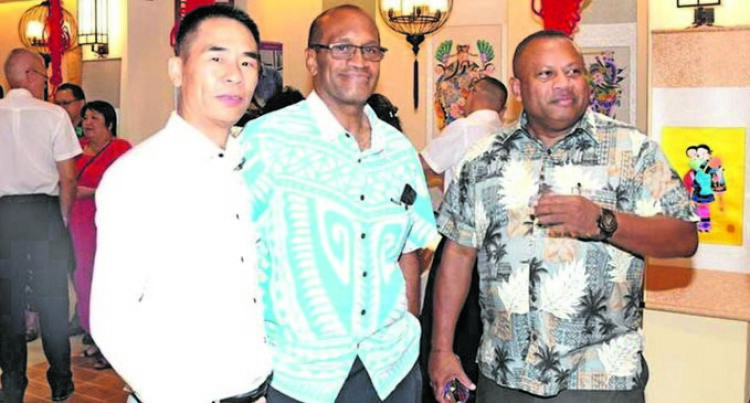 Mr Seruiratu said: “Our Chinese-Fijian community have worked alongside with their fellow Fijians to drive the development and progress across our country. “Chinese contribution to the Fijian society not only add to the rich tapestry of culture and diversity we enjoy in Fiji. “It has also contributed significantly to the development of Fiji and specifically to improve the lives of every Fijian. Mr Seruiratu commended and acknowledged the visionary leadership of Chinese President Xi Jingping. “This is in his pursuit of the realisation of a connected global community through policies such as the Belt and Road Initiative. “Being a major development partner and sincere friend of Fiji, China actively promotes mutually beneficial corperation with Fiji under the framework of BRI and has provided strong and firm support to Fiji’s economic and social development. Chinese Ambassador to Fiji, Qian Bo said China Gross Domestic Product (GDP) exceeded 90 trillion Yuan (FJ$28 tn) for the first time. An increase of 6.6 per cent year-on-year, achieving the expected growth target of about 6.5 per cent.